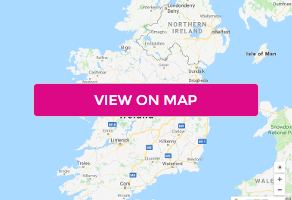 This 4 star Dublin hotel is conveniently located close to the M50, M2 and M3 motorways, and only 15 minutes from Dublin Airport, with shuttle service available 24 hours, making it easily accessible from all major routes across the country. Furthermore, its close proximity to Dublin city centre opens up vibrant opportunities for theatre trips, museums, concerts and the buzzing nightlife for which Dublin is famous. The award-winning 4 star Carlton Hotel Blanchardstown is one of the finest hotels in Dublin. This luxury hotel accommodation in Dublin is located in the heart of Dublin 15, within a short distance of the Blanchardstown, and in close proximity to the National Aquatic Centre, Phoenix Park, Blanchardstown Shopping Centre, Fairyhouse Racecourse and is known as a top hotel near Tayto Park. The Carlton Hotel, Gardens & Conference Centre, Blanchardstown is everything a modern hotel should be. Bright stylish interiors and a team of friendly helpful staff dedicated to making each guest's experience second to none, meaning you can leave your worries at the door and just slip into relaxation mode! The Hourglass Bar is based at the front of our luxury hotel near Blanchardstown. It is a showpiece in design, flooded with natural light and a perfect place to meet for a more informal get-together, be it lunch, a coffee or an end of day cocktail. The Carlton Hotel Blanchardstown offers a choice of dining options in Dublin including the Urban Kitchen and the Hourglass Bar. Dining at this four-star Dublin hotel is a memorable experience and with ingredients that are the freshest available, seasonally selected, cooked to perfection and artistically presented by our talented chefs, you're sure to agree.